I think about food a lot. Maybe too much? Is that possible? I cook food, I eat food, I read about food, I take pictures of food - I think it really consumes my life. Sometimes I come across people who think of food as sustenance only and I get so confused. 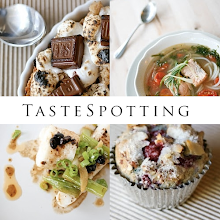 Food is so central to my life that it seems strange that people see it as such a small thing. I'm always dreaming about what I'm going to be making next. 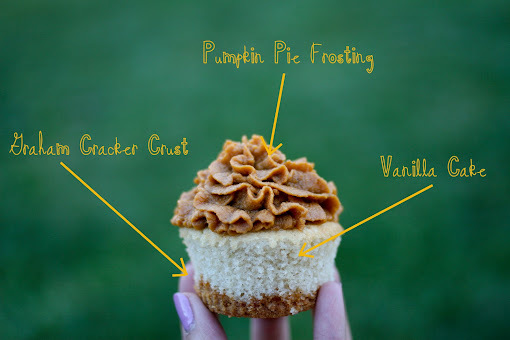 While dreaming, I stumbled upon The Cupcake Project and her pumpkin pie frosting. Mind you, not pumpkin pie flavored frosting, actual, honest-to-goodness pumpkin pie AS frosting. Did I lose you? Let me break it down... a baked pumpkin pie filled into a piping bag and used as frosting! Genius right? 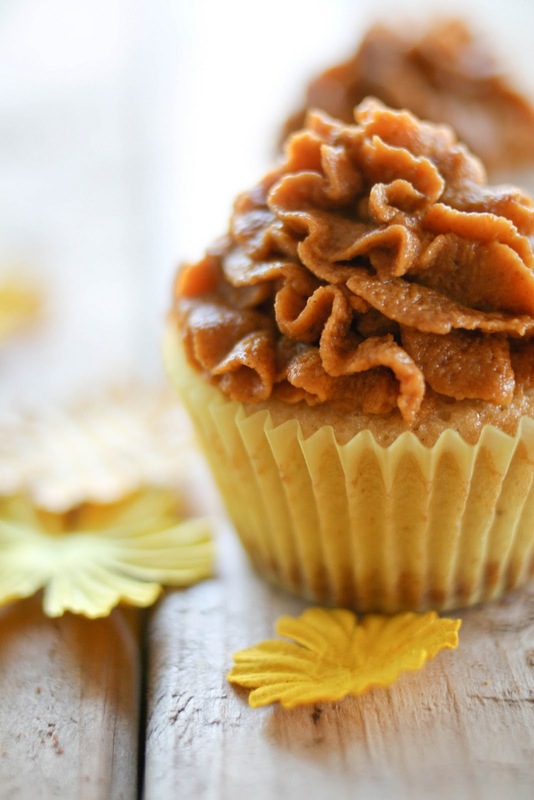 I knew exactly what I wanted to make: pumpkin pie cupcakes. So that's what we have here: a crispy graham cracker crust, vanilla cake and the creamiest pumpkin pie frosting. I think the perfect Fall treat! Inspired by this; adapted from here and here. The "frosting" should be made first as it takes the longest to bake and needs to cool before using. Preheat the oven to 425 F. In a medium bowl, mix together all the filling ingredients until well combined. Pour the filling into a 9-inch round pan. Bake for 15 minutes, then reduce to 350 F and continue cooking for 45 minutes or until a toothpick inserted into the center of the filling comes out clean. Let cool completely before using. To make the cupcakes, preheat the oven to 350 F. Line a cupcake pan with liners, set aside. Sift together the flour, sugar, baking powder, salt and cinnamon into the bowl of a stand mixer fitted with the whisk attachment. Add the butter and 1/4 cup of milk. Mix on medium speed until smooth, about 4 minutes, scraping down the sides of the bowl with a rubber spatula as needed. In another bowl, blend the eggs, egg white, remaining 1/4 cup milk and vanilla. Add to the batter in 3 additions, mixing for 2 minutes on medium speed after each addition. Scrape down the sides of the bowl in between additions. Set aside. To make the crust, combine the graham cracker crumbs, sugar and butter in a medium bowl and mix well. Add 1 tbsn. of the mixture into the bottom of each cupcake liner and bake for 5 minutes until the graham crackers are golden. Remove from the oven then fill about 1/2 full with the cake batter. Bake for 15 - 20 minutes or until an inserted toothpick comes out clean. Cool completely. To frost, scoop the pumpkin pie "frosting" into a piping bag and pipe onto the cupcakes. Michelle these look and sound amazing, I am a HUGE fan of everything pumpkin, thanks for sharing! Awesome! I'm so glad the you tried and liked the pumpkin pie frosting. These look so beautiful! This looks INCREDIBLE! I'm on a huge pumpkin kick... I can't wait to try these!!! 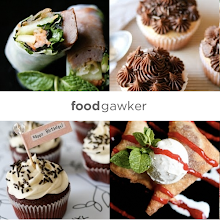 Honestly, these are inspiring... and look delish. I can only imagine how amazingly delicious these cupcakes are! I'm pretty sure I could eat the pumpkin pie frosting by the spoonful ;). Great idea! They look beautiful. 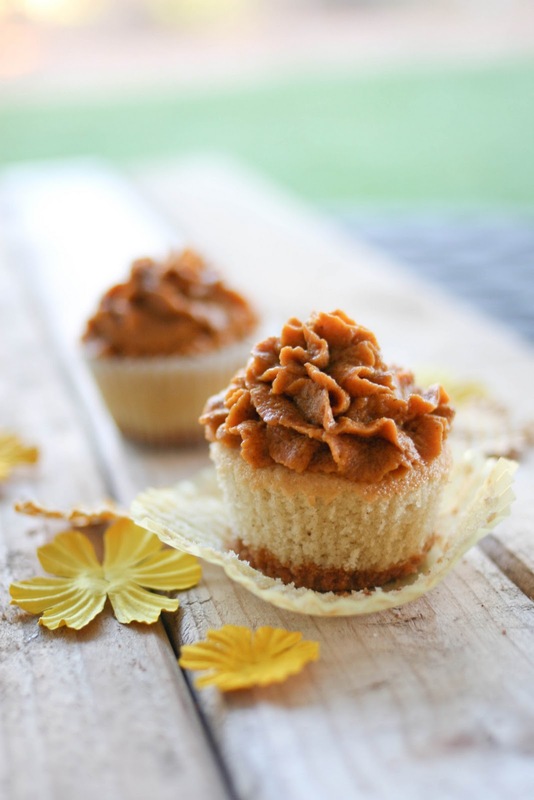 I love the idea of your pumpkin pie cupcakes, always a fan of a good cupcake. Thanks so much for your recipe,look really forward to trying. This is a great use of extra pumpkin pie filling. When I made my pumpkin pie I had leftover filling and baked it without crust, and ate it as a hot pudding. But knowing this recipe I will now reserve it and use it as a "frosting!" Brilliant!! These cupcakes are incredible and tasty. It's going to be hard to share these with anyone else! Great recipe, thanks! I tried these last night and they're really good. My husband doesn't like the texture of pumpkin pie so this is a great variation. Thanks! Beautiful! I love the graham cracker crust and this frosting intrigues me! Those look and sound delish! The graham cracker crust is a nice touch. BTW I really don't get people who just eat to survive either, it's sad! I dream food! I made these cupcakes for Thanksgiving and everyone raved over them! I changed it up just a bit. Instead of a graham cracker crust, I made them with a gingersnap crust. Spicy and delicious! These looks amazing! I love pumpkin! 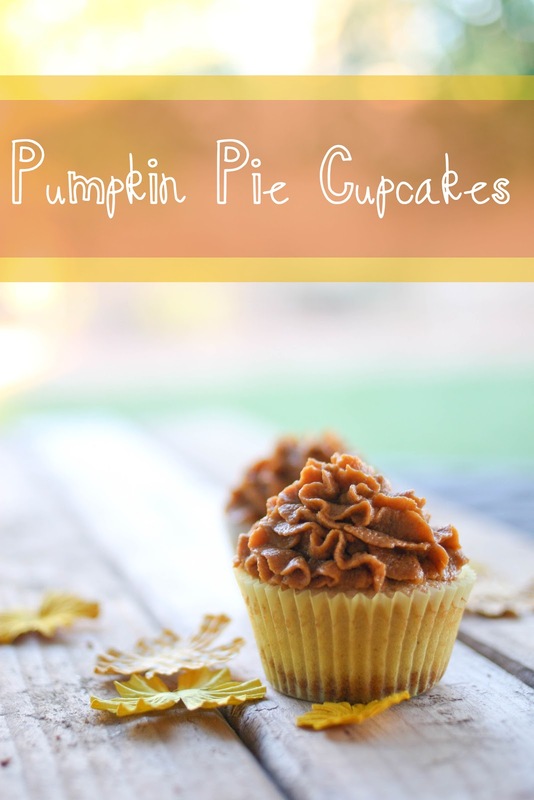 I'm having my first linky party on my blog and the theme is pumpkin. I'd like to invite you to come link up your favorite pumpkin recipe. The link is open until Wednesday at midnight, so please stop by and say hi. These look amazingly delicious! I was just telling my bf last night (or maybe warning him) that in a couple of weeks he would see pumpkins popping up all over our house, smell pumpkin scents constantly and be fed pumpkin foods until he couldn't stand it anymore. These will definitely be on my list to make this year! Thanks so much, and you're right, that combo sounds perfect! I am about 2 bites into my first cupcake and oh. my. god. it will not be my last. Thank you for sharing! I pinned this on Pinterest and there has already been 113 repins within 5 days. I haven't even been able to try it yet but I cant wait too. Just thought I would let you know. I love your recipes. Made these for a dinner party yesterday, turned out amazing! I found this on Pinterest and I can't wait to try it. Thank you for sharing! OMG! You just made my dreams come true! These look amazing! I hope to make them soon!!!! I have a dairy allergy. Is there s substitute for evaporated milk? I'm almost sure you could substitute soy or almond milk, but I have never tried it so I can't be sure :( The frosting is just basically a pumpkin pie, baked, and used as frosting - so if you can find any pumpkin pie recipe using a dairy substitute, that would be perfect! I made these, and used cake mix instead. It tastes great, though the frosting looks like ... well poop, for a lack of a better word lol. But still great! Just found you on pinterest you are so amazingly talented!! I think I'll just use a spice cake mix using milk instead of water for the cupcake portion and follow the recipe for the other elements. Does the frosting harden up at all (so they can be packed to give as a gift)? Or is it the texture of pumpkin pie? Just curious if it dries a little. Thanks! I made this recipe last night. I cheated and used boxed cake mix. (with my own additions to make it taste better) It made a little over two dozen so I took the majority of them to school with me and left them in the staff lounge. They were gone before lunch! I also had many people come up to me asking for the recipe. They are DELICIOUS! What an awesome recipe! I will definitely try these. Thanks so much for sharing. I'm a new follower and look forward to more of your talent! These cupcakes are absolutely amazing! I'm delighted with them! I've featured this recipes on my blog! I hope you don't mind! If you don't agree with that please contact me and I will remove it. All the best. Somebody I know just made these. THEY WERE SPECTACULAR!! I made this over the weekend and it came out delicious. A little hint, if you don't have a piping bag to use for the frosting, you can use a ziploc bag. I am absolutely in LOVE with this recipe! I have made it so many times for my family and friends and they simply rave about it. 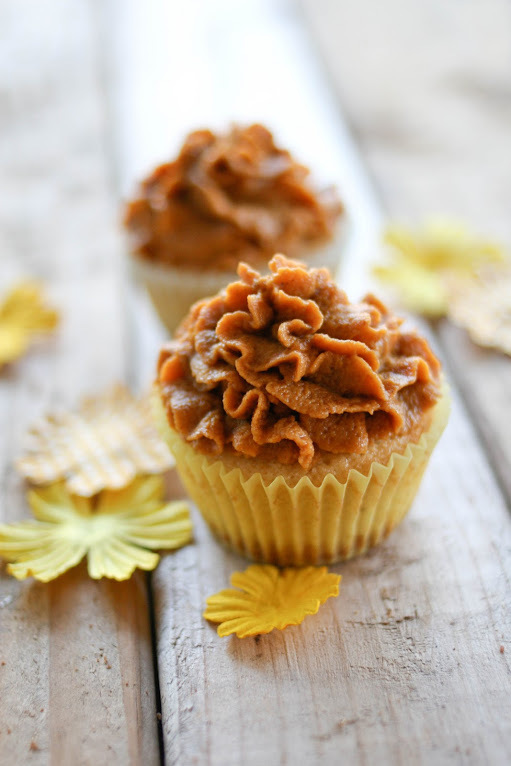 I switched out the pumpkin pie frosting for my Mom's recipe which I just can't live without and these cupcakes are now a staple within our family. Thanks for the great recipe and being such a baking inspiration! I shared the cupcakes over on my blog today and I would love it if you would stop by sometime! Do I have to use cake flour or will All purpose work just the same? I was wondering which tip you used for the icing? I added a maple whipped cream filling and topped them off with a glazed pecan. OMG!!! Great recipe! What frosting tip did you use? Was it the 2D? Thanks for the fun recipe!